Sevan G. Terzian and Patrick A. Ryan (eds. 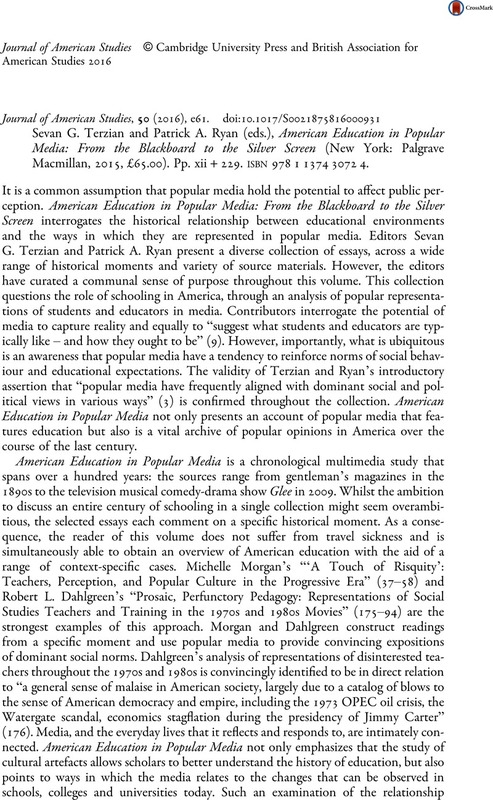 ), American Education in Popular Media: From the Blackboard to the Silver Screen (New York: Palgrave Macmillan, 2015, £65.00). Pp. xii + 229. isbn 978 1 1374 3072 4.